Mass began to be celebrated in this area during World War II as fuel restrictions made it extremely difficult for people to get to Mass in the Cathedral. Originally permission was given for Mass to be celebrated at the Lawnswood Arms on Otley Road. After the War the venue changed to Adel Community Centre in the grounds of the Friends Meeting House on New Adel Lane. This continued for several years, but only on the condition that there would be no singing! At that time the first Parish Committee was formed and money was raised to buy the site of the present church. 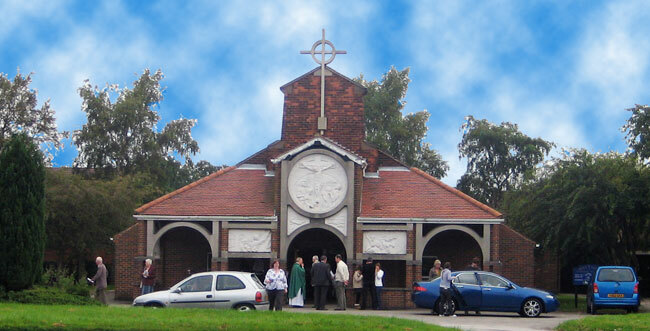 The first Parish Priest, Fr Thomas Power, was assigned to the as yet un-named parish and lived in a semi-detached house on Spennithorne Avenue where Mass was celebrated on weekdays and children were Baptised. 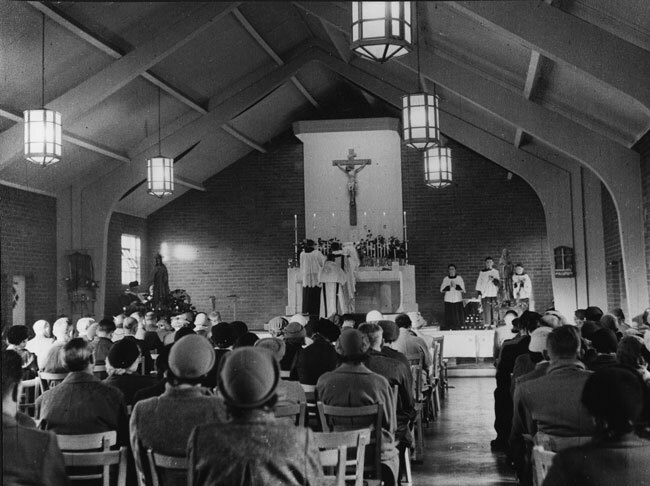 Fundraising began in earnest and the foundation stone was laid by Bishop Heenan on February 7th, 1953. 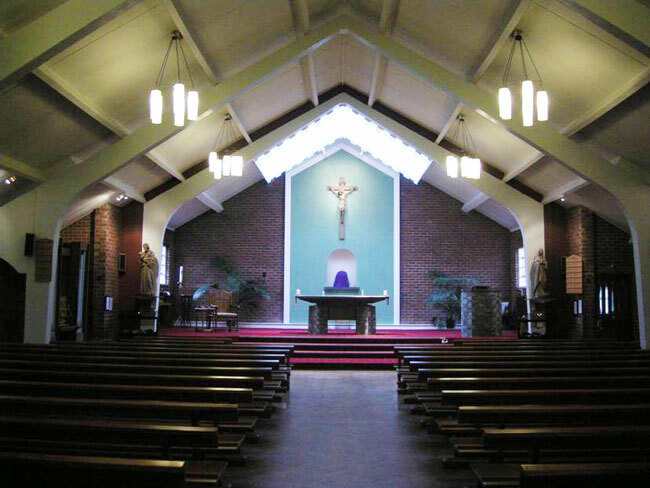 The church was opened on November 4th 1953 and was given the title of The Holy Name of Jesus. Parish Priests: Thomas Power (1951-64) ; Anthony Hinnighan (1964-5); Leonard Rout (1966-73); E Anthony Pearson (1973-94); Barrie Cummins (1994-2003); Peter McGuire Prot Ap (2003-2006); Patrick A Smythe (2006 – present).